Cold front, closed low, record highs, and record lows. This storm system really has it all. 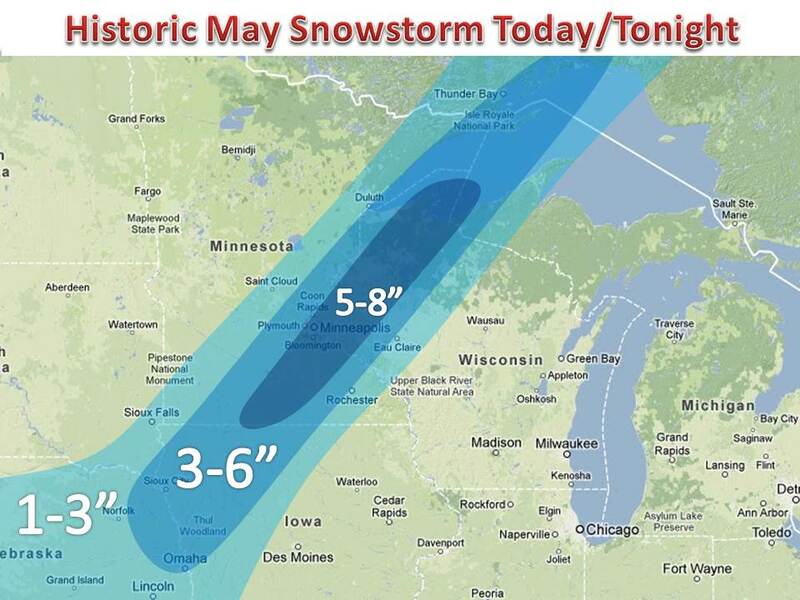 Today and tonight will bring heavy snow to the same areas hit with constant winter storms the past few weeks. 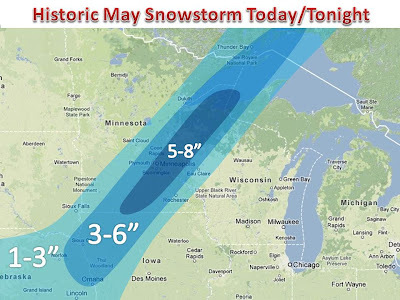 Up to 8" and possibly 10" can be expected in the darker shadings. Take a look at the current temperatures in the region by clicking on the "current weather" tab and you will see a major contrast. 80s to the east and 20s in the west. This storm already dumped over a foot of snow just west of Denver! No matter what, the snow will melt quickly and summer is just around the corner.